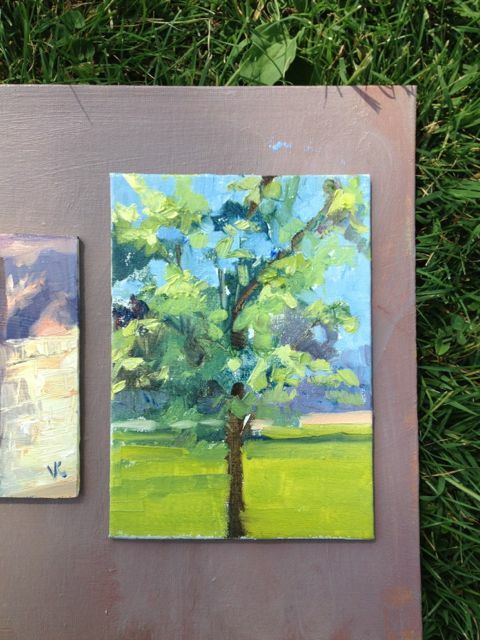 I participated in Curtis Park Plein Air Event this last weekend. 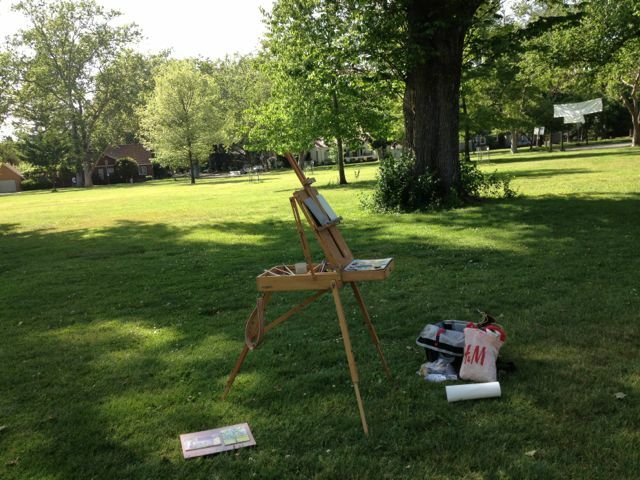 All the plein air paintings had to be within the neighborhood of Curtis Park, Sacramento CA. It was a great time to force me to get out of my studio and paint from nature. Gunther's Ice Cream is a Curtis Park favorite. Not only do they make all their own ice cream, but they have one rocking sign too! Curtis Park has been my home since I moved to Sacramento a few months back. AJ, Asher and I have loved the beautiful old neighborhood. We often take walks, looking at the old houses with gorgeous flowers and trees lining the streets. In the middle of the neighborhood is an amazing park 1 mile around. Talk about a fun place to run! Another spot I love is Gunther's Ice Cream. This mom and pop parlor has been around for years and is quite popular among the locals. It also happens to be just around the corner from our house. Cafe Dantorels is another local favorite. Wonderful coffee, great patio, and a long list of crepes to choose from. Its surprising I don't get outside to paint more often. There is no better way to enjoy the weather and be productive! My VW and I have had numerous cross country adventures back to my Iowa roots. Funny how a little painting of your vehicle can project so many memories and feelings.